Closed die forging, one of the main forging process, involves the pressing or hammering of preformed metal blanks into a set of dies shaped as a three dimensional negative of the part to be produced. In closed die forging, the hammer and anvil fully enclose the workpiece, forcing the metal to fill all areas of the dies. Closed die forging can produce a nearly limitless variety of 3-D shapes, and is capable of producing complex parts with tight tolerances. Closed die forging is operated under two tooling dies: a stationary die (anvil) and a moving die (hammer). Both dies contain an impression of the desired part shape. The moving die presses down onto the stationary die and the metal workpiece and causes the metal to flow into every part of the die and take its shape. A small amount of excess metal flows into a thin recess at the edges of the two dies called a flash gutter; the flash cools quickly and then serves as a plug keeping the rest of the metal in the die. Often, closed die forging requires that the workpiece be moved through a series of impression cavities, at first forming the rough shape, then proceeding until a finisher cavity turns out the final product. The closed die forging process can be done with cold forging, hot forging or warm forging. In cold forging the metal is not directly heated, but formed using high pressure. 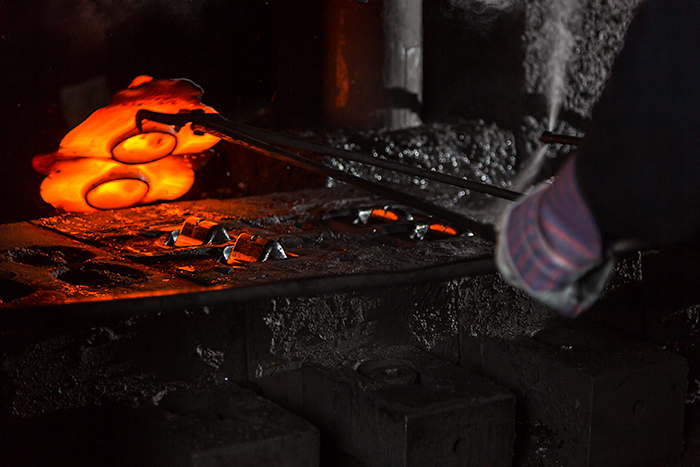 In hot forging, the metal is heated to high temperatures then formed. In warm forging the metal is heated to a range that is typically above room temperature, but below the re-crystallization temperature of the metal. Closed die forging is the most common method of forging utilized in the industry to produce intricate and difficult geometries, offering countless possibilities for creating high strength components and tools with precision. By comparision, closed die hot forging is the most widely used forging method. The high temperature during hot forging enables the highest possible level of material deformation and the access to complex 3D geometries. Hot closed die forged components possess increased ductility which makes them desirable for many shapes and applications. Also, as a technique hot forging is more flexible than cold forging, lots of customized parts can be manufactured in closed die forging. The excellent surface quality allows a wide range of finishing work as polishing, coating or painting, tailored to customers’ specific need. Hot forging materials are available all over the world which has a positive impact on their final price. Fly Forge's closed die hot forging ability can meet all the demands of materials in steel, aluminum and brass. The majority of closed die forging materials could be divided into three primary alloy groups: Forged Steel, Forged Aluminum, Forged Brass & Copper. 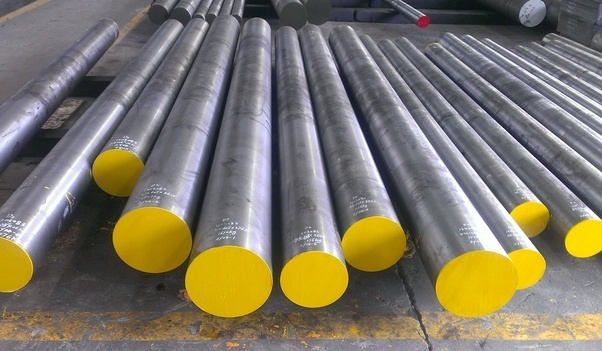 Forged Steel: Forged steel is an alloy of carbon and iron. Manufactured by a series of compression under an extremely high pressure. Forged steel takes up around 70% of all closed die forging alloys. Steel forgings normally have less surface porosity, finer grain structure, higher tensile strength, better fatigue life/strength, and greater ductility than any other steel processing. Main types of steel that can be forged are carbon steel, alloy steel and stainless steel. Below is the grade list available in Fly Forge. 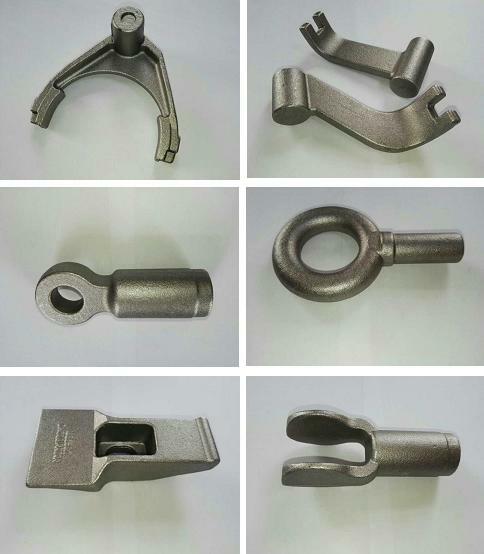 Forged Aluminum: While there are clearly applications now and in the future for many new casting techniques for aluminum components, the combination of qualities of forging aluminium continue to be the ideal solution for many applications where light weight and strength are desired at low cost. Manufacturers are increasingly specifying these properties and forgings are being produced locally at competitive rates. Due to the advantages of aluminum forging, the demand of forged aluminum components are keep increasing. Main grades of aluminum forging could be made in Fly Forge is 6061, 6063 and 7075. Forged Brass and Copper: Brass forging or copper forging is a superior manufacturing process whereby, forging presses exert tremendous pressure on heated pure brass producing a product free of imperfections. The brass and copper hot forgings in closed die forging method are quality parts, comparing favorably in material integrity, dimensional tolerance and surface finishing with products made using other major metalworking processes. As a result of deformation, hot brass forging grants superior density and freedom from flaws. Forming under heat and pressure in precise closed dies produces dimensional accuracy, always repeatable part to part and lot to lot. Excellent surface finishing with a clean lustrous appearance is readily available with copper and brass forgings. Closed die forging is distinct from open die forging, in which the die only comes into contact with part of the workpiece at a time. Initial costs for developing the processes and tooling for closed die forging can be quite high, but it is the most cost-effective forging method for high volume production, since recurring costs for each part are very low. In addition, closed die forging is capable of producing both symmetrical and non-symmetrical parts. Materials that frequently undergo closed die forging processes include high alloy steel, naval brass, carbon steel, aluminum, alloy metals, stainless steel, copper, nickel, tool steel and titanium. Closed die forgings are used particularly often by industries such as agricultural, electronics, aerospace, automotive, commercial, manufacturing, semiconductor, construction, hardware and food processing. Automotive and Trucks: Closed die forged components are commonly found. As we know already, closed die forged components are prepared with heavy pressures and extreme forces. So they are acclaimed optimum solution for automotive and truck industry. They are less resistant to corrosion, and flame resistant that is taken suitable for automotive forgings, such as axle beams and shafts, torsion bars, ball studs, idler arms, pitman arms and steering arms. Agricultural Machinery & Equipments: Strength, toughness and economy are important in farm implements. In addition to engine and transmission components, key closed die forgings subjected to impact and fatigue range from gears, shafts, levers and spindles to tie-rod ends, spike harrow teeth and cultivator shafts. Hand Tools & Hardware Components:. Pliers, hammers, sledges, wrenches and garden tools, wire-rope clips, sockets, hooks, turnbuckles and eye bolts are common ly forged. Surgical and dental instruments are also often closed die forged. Special hardware for electrical transmission and distribution lines such as pedestal caps, suspension clamps, sockets and brackets are commonly forged for strength, dependability and resistance to corrosion. Valve Fitting: As closed die forged components are prepared with high pressure and extreame force, they are often associated with Valve and Fitting industry. Corrosion and heat-resistant materials are used for flanges, valve bodies and stems, tees, elbow reducers, saddles and other fittings. CFS Forge is the top closed die forging manufacturer and exporter in China. With forging facilities ranging from 300t-2500t, we are capable to produce closed die forged components from 0.2kg-60kg. There is no material limitation if you would like to source steel forgings, aluminum forgings and brass forgings. We can supply all the metal forgings you like. In addtion, with in-house tool & die shop, precision machining shop and heat treatment shop, we have the capabilities to offer full value added services including machining, heat treatment and surface treatments. These capabilities will also help us to produce high quality finished products with competitive prices. If you are interested in using metal parts made from closed die forging, we can provide them for you! Here at Fly Forge, we are the specialist. We have the ability to provide custom forgings that meet your specific applications. Our quality metal forgings have helped us become a major supplier of closed die forgings to a global customer base. More important is that our company can supply full set of testing reports including PPAP 3 level. Contact us for your next closed die forging project or know about our closed die forging capabilities today! One of our team will go back to you once receiving your email. To achieve the best quality produces at the most competitive prices, closed die forging buyers and suppliers should keep close association and cooperation. With recent advanced closed die forging technology, close collaboration and close working with the forger is required. By keeping knowledge about the recent developments, the buyer can ensure cost effectiveness with high quality products. Closed die forging involves a fair amount of artistry and customisation. Henceforth, it is very crucial to involve the closed die forging company into the designing and specification phases of product development. The forging buyer should have a general know-how about the equipment and methods used in the closed die forging process. Moreover, it is very important to confirm that the potential supplier has the equipment and the facility to produce that part. The buyer should have the knowledge about the capability of the closed die forging company to provide services like heat treating, machining, testing, quality inspection, testing and so on. The buyer should a general knowledge about the scale of his supplier. The buyer must ensure that his supplier is able to produce the volume in required lead time. Finally, the buyer should have the information about the background of the forging seller, its core values, its professional ethics and after-sales service. I have cooperated with CFS Forge for several items in closed die forging method. Based on our designs, they always give us some good suggestions that help us save costs and achieve better working performance. I really appreciate for their impressive service and high quality. Will continue our business cooperation on further projects! Thank you for your recognition on our hard working. As a professional closed die forging company, we are very happy that we can help you when you have such needs. For future projects, also pls feel free to contact us. We will still be pleased to offer you our best prices first. I am a professional engineer working in Canada. I am running my small design /consulting company. I am in need of a part produced by closed die forging process with an initial quantity 1000 pieces to start. If the price is right, we may order 10,000 pieces per month. At this point, it is as closed die forging part without machining. Tolerances can be -/+ 0.5 mm. Surface roughness is not a requirement but it has to be smooth enough if we machine 1 mm from surface it reveals a smooth surface without any defects. Pls advise if you can provide such service. Yes, we are interested to customize this part for you. Could you pls first send us the drawing and related information by email to cathy.forge@cnool.net? Then our engineer will evaluate this part and calculate the price for you. We can also discuss all the details later.